The exhibition, curated by Robert Delpire, is gathering photographs made between 2000 and 2004. 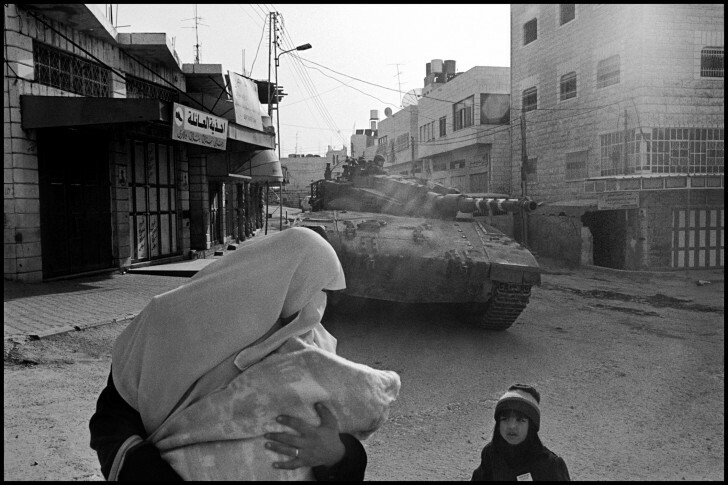 BW prints, large panoramic: in over 10 years, Larry Towell seized Palestinian intimacy in West Bank, West-Jerusalem and Gaza strip. ” Intimacy, the antithesis of violence, is much harder to document than war, because it is invisible… I believe in a two-state solution for Palestine and Israel – two equal and uncompromised nations. I know that someday it will happen. If the light is in our deeds”.